5 Injured in Richland County Night Club Shooting, January 1, 2019; Justice, Compensation Available to Victims? Did negligent security and irresponsible club ownership contribute to this senseless Richland County night club shooting and are justice and compensation available to the victims? Security measures are in question after a shooting inside a Richland County night club injured 5 people Tuesday morning, January 1, 2019. 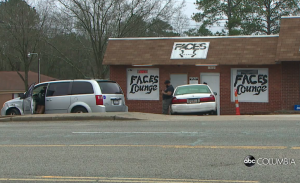 According to The State, “Around 6:23 a.m., police were alerted to a shooting at Faces Lounge on the 1700 block of Decker Boulevard. Three women and two men were injured. All have been transported to the hospital with injuries that are not life-threatening.” The victims identities have not been released. What additional security measures, such as weapons screenings, monitored surveillance cameras, and visible security personnel, were implemented by the night club owner following media reports of prior elicit activity and violence on property? Generally, property owners are required to protect all those legally on the premises from any foreseeable harm. Should the facts of this matter reveal that the night club owner failed to provide adequate security to protect those on its premises, the victims may seek justice and elect to pursue legal claims for their injuries.